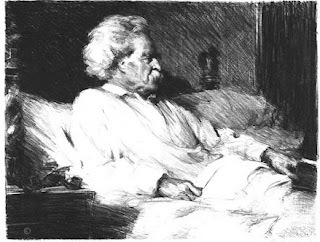 Pencil sketch of Mark Twain by Samuel Johnson Woolf, 1906. From S. J. Woolf, Drawn from Life (1932). As Americans get ready to prepare their traditional Thanksgiving dinners, it seems only appropriate to offer Mark Twain’s humorous yarn about turkeys of yore. The twist: first you had to catch (and, it should go without saying, kill) them. Filled with Twain’s trademark exaggeration and self-deprecation, this autobiographical childhood memory of the one that got away was eventually meant to be part of a chapter in a much larger undertaking that remained unfinished at his death. 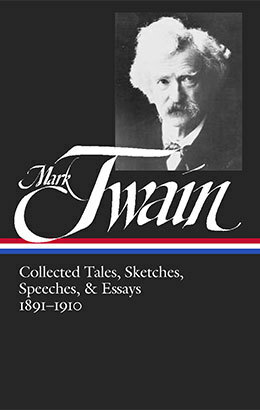 After Twain’s death, in spite of his wishes for a century-long embargo, his estate allowed various parts of the unfinished work to be published in a number of abridged and cobbled-together versions. But, finally, just a few weeks ago, the first of three volumes of the complete and unexpurgated autobiographical fragments and chapters was published by the University of California Press—and it immediately debuted in the #2 spot on The New York Times Best–Seller List. When I was a boy my uncle and his big boys hunted with the rifle, the youngest boy Fred and I with a shotgun—a small single-barrelled shotgun which was properly suited to our size and strength; it was not much heavier than a broom. We carried it turn about, half an hour at a time. . . . If you don't see the full story below, click here (PDF) or click here (Google Docs) to read it—free!